Tannery Books started as a combined bricks-and-mortar and online shop in a small town in North Carolina, opening March 11, 2011. We have a wide variety of used and out-of-print books. We specialize in genealogy, North Carolina history, and Quakers, with occasional splashes of collections that come our way, like Star Trek, Hollywood and aviation. The storefront closed in late 2013, but you can browse our booth at Bush Hill Trading Post, 108 Interstate Drive in Archdale (27263), or browse this site for book selections. You can read more about the evolution of Tannery Books bookshop. The booth and the website usually have separate inventories to prevent double sales, so if you can't find a book, just ask. In the rare cases a book is sold in the shop before shipping an online order, the order will be canceled and money promptly refunded. Don't forget to sign up for e-mails to hear about new arrivals in both venues. "I've bought an assortment of books at Bush Hill Trading Post in the Tannery Books section. I love the variety this vendor provides and the prices. Some book topics I have purchased include; Dorian Gray, Marie Antoinette, Frankenstein, Civil War, Norman Rockwell, Presidents of USA, and more. Tannery Books was named for the Tomlinson Tannery in the Quaker settlement of Bush Hill (now Archdale). During the Civil War, young men were forced into a fight they neither asked for nor wanted. The owner of the tannery invited an army officer to dinner and made him a deal: if he'd let the young Quaker men work in the tannery instead of being conscripted, they'd provide a quota of shoes for the army. When the young men couldn't keep up with the quota, the more experienced leather workers made extra shoes to keep them out of trouble. 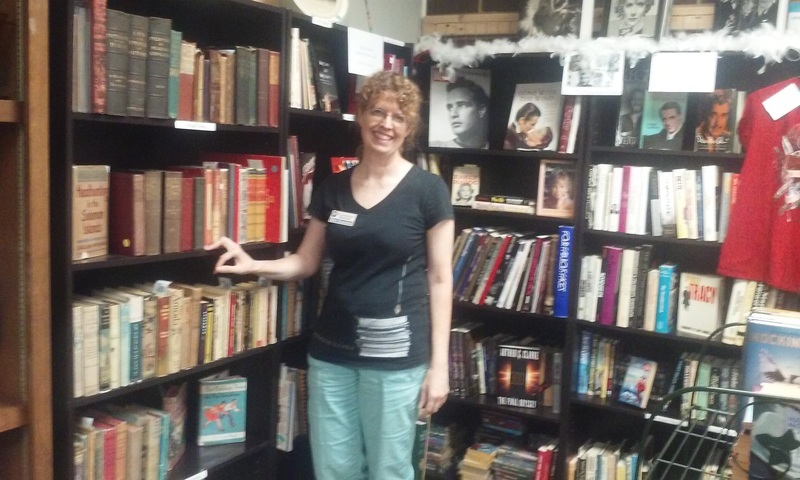 Beth Saunders, genealogist, writer and bookseller, is a former aerospace engineer and journalist. She takes a limited amount of freelance work, including genealogical research (specializing in Quakers), estate archives coaching (when you're overwhelmed with family books and papers), and proofreading. Use the contact form to inquire about availability and rates.